I am getting married next year and no matter how much I try not to, I find myself stressing over the worry that it might absolutely pour it down on the day. I was hoping that a few ladies who've had everything from small showers to full on storms could comment on if this took away from their day and how they overcame the obstacles (like having photos etc). Hi, after thinking about this I have realised that it has rained at 7 out of 8 weddings I have been to and on my wedding day and... it really didnt matter! I guess that it depends on where your wedding is and what your plans are - we did look at a gorgeous venue but the ceremony was in a little gazebo and all the guests sat outside. I loved it but if it had rained,it would have been a nightmare and I didnt think it was worth stressing about. At a few of the weddings were it was raining after the ceremony, they waited and did the outside photos later on when the rain had stopped, other just did photos inside. The rain at our wedding was so heavy on the restaurant roof that no-one could here the best mans speech - everyone laughed about it though. If there is anything that you are planning outside, I would just make sure you have a contingency plan - we only had drinks and photos outside which we did manage to do (dodging the showers) but there was space inside if we needed it. might also be worth getting some big golfing umbrellas if it might rain - out ushers met everyone outside the hotel, armed with umbrellas to shelter the ladies as they walked across the car park. The weather is one thing that you have no control over, so try not to stress about it. Delegate someone to check the weather forecast and then to liaise with venue staff to make sure you have other options for photos etc. 99p stores and £1 lands have perfectly nice little umbrellas: I bought 10 royal blue ones for our wedding next week. 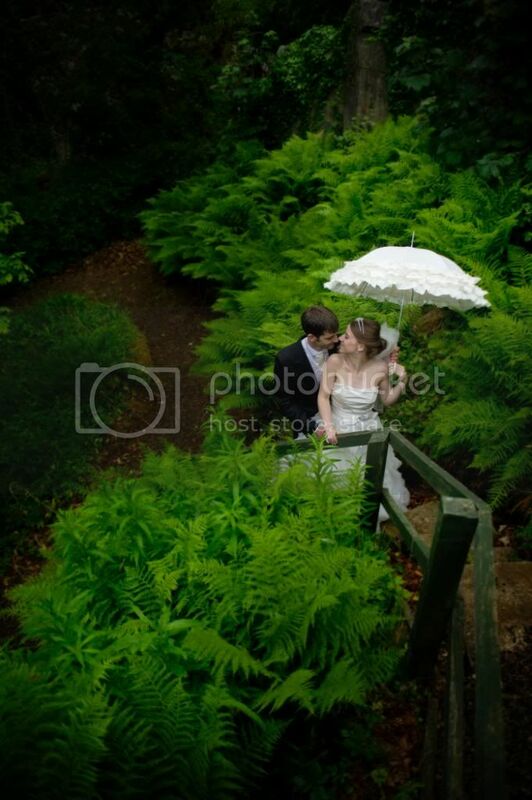 We are having photos outdoors whatever, but there is a nice, wide sandestone arch to stand under if it rains, and someone can stand with an umbrella over the photographer! It pelted down on my wedding day ...it could not have rained harder. However I was so excited that I just thought 'oh well'. Our photographer said it was better to have rain than strong sun. I bought 3 nice brollies and thought at least we would get to use them. I had a bouncey castle and surf board simulator which were a bit of a problem but we had the option of putting them indoors. Suddenly as I was putting on my dress...it stopped. During the ceremony the weather completely changed and the sun shone. It made the day magical. Very rare does it rain ALL day...just stay hopeful and happy. At worse it gives guests something to talk about. I think rain can be quite atmospheric. Where I live it can be quite foggy and we are getting married on the cliffs in a fort. I went up there a few times in the last few months and there was fog which stayed for hours and you could only see a few metres infront of you - could not see the sea or the beach so photos would not be possible outside in this instance. I'm absolutely worried about this . However, I think rain is manageable like others have suggested umbrellas are great for standby but also it is unusual to have a full day of non stop rain although it does happen. 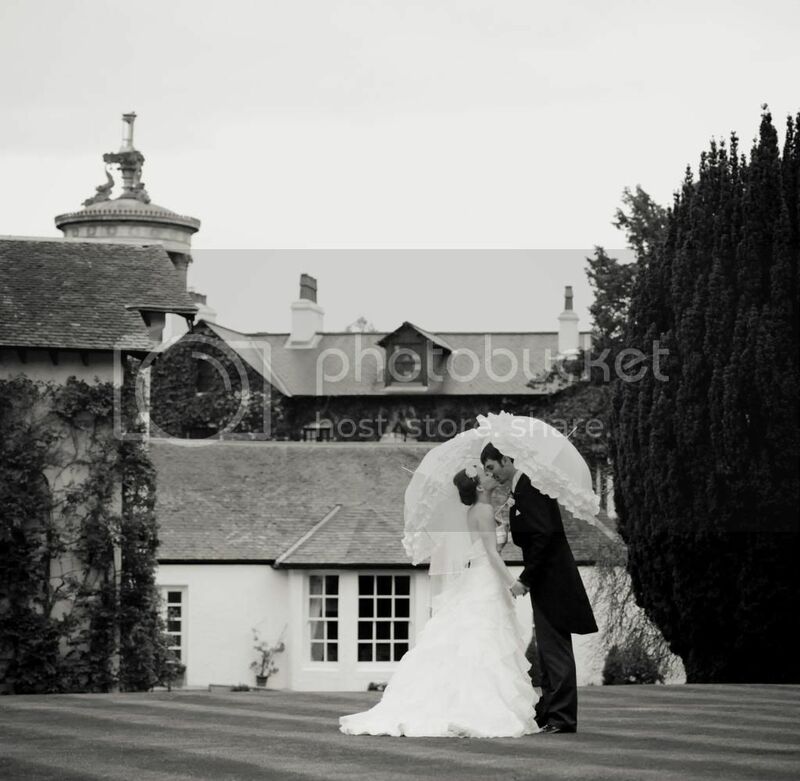 I have been to weddings where it has poured down and they still did photos outside - I actually preferred them to super sunny photos because they were so atmospheric and beautiful. I hope that you will not worry too much about the rain and I'm sure on the day you will not even notice the weather or you will just laugh about it. We had forecast for rain but it held out until about 7.30pm so we were really lucky. Try not to worry about it, you'll be surprised by how little time you really need outside what with the ceremony and meal and evening reception etc. 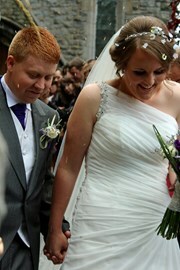 We really just needed dry weather for the 2 hours after the ceremony and apart from that we were inside. Your photographer will have an eye on the forecast and will grab you if there is a clear spell so you should get all the photos you want. One tip I would give would be to buy nice brollies! It sounds crazy but we dashed out the day before the wedding and spent a fortune on posh ones but it put my mind at ease knowing that if it rained all day we would still get lovely pis. 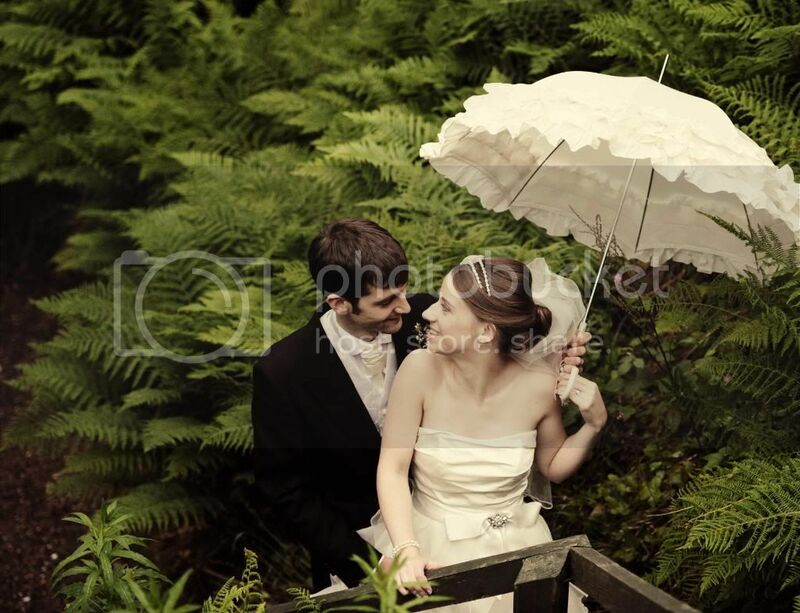 In fact when it did rain during our evening reception I got really excited and grabbed the brollies for an evening photoshoot in the rain, it gave a different perspective on our day and remember - it's meant to be lucky if it rains on your wedding day!! I feel for you as this is something I really worried about. I actually cried when I checked the weather before going to bed the night before! Here's some pics to show you that you can get lovely pics in the rain - these are actually amongst my favourites from the whole day! 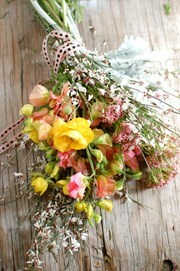 Have a wonderful wedding day!!! everyone laughed about it though.